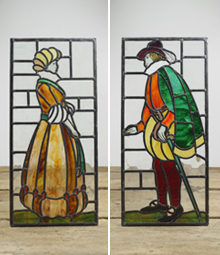 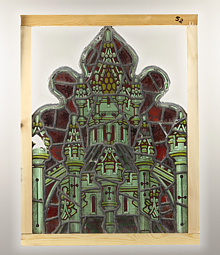 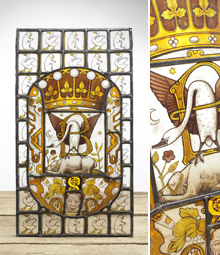 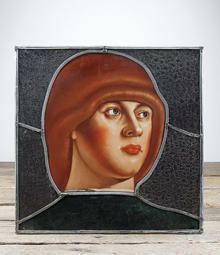 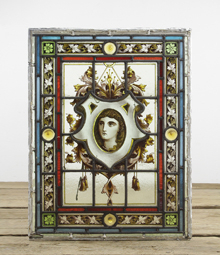 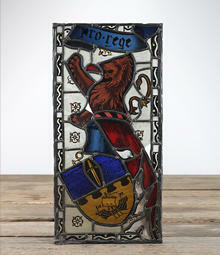 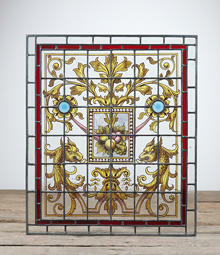 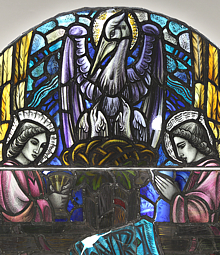 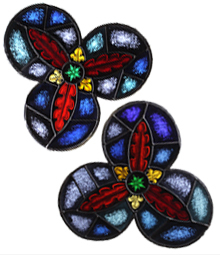 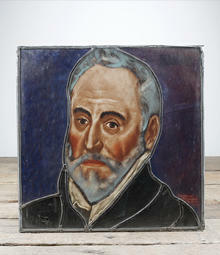 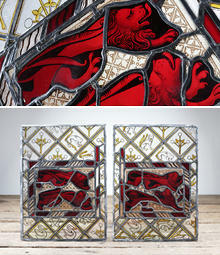 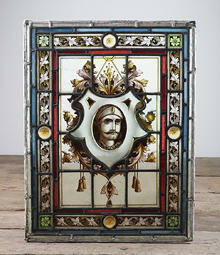 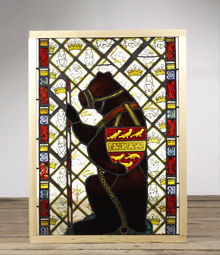 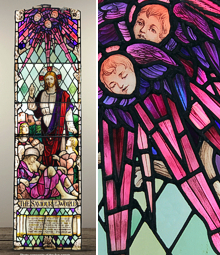 Stained glass was the most popular form of art work throughout the Medieval Ages. 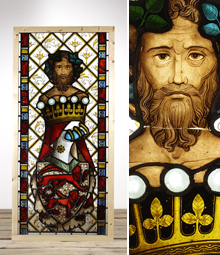 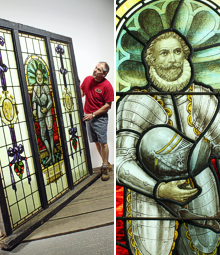 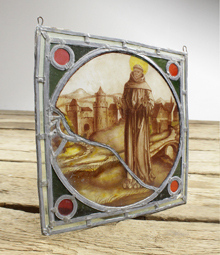 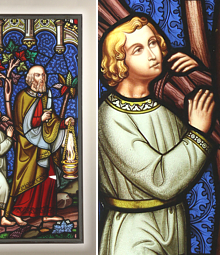 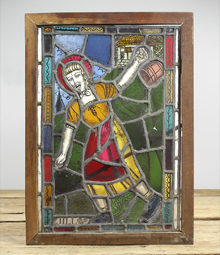 The process of stained glass making hasn’t changed much from the 12th Century. 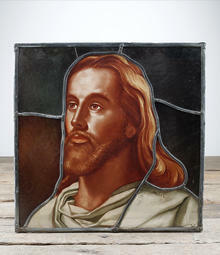 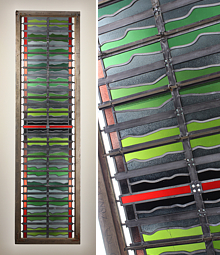 Painted stained glass captures expression and feeling well. 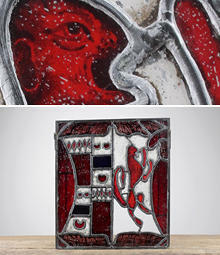 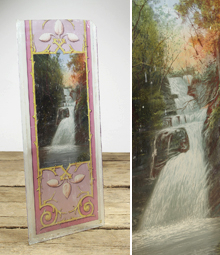 The paint used is a type of enamel which is applied in many layers, the last adding fine detail to the piece. 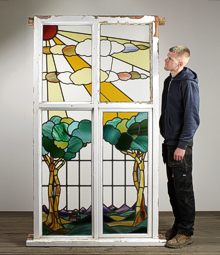 Then a silver stain, made from a combination of silver nitrate or silver sulphide blended with clay, is applied to the exterior surface to create a yellow colour and help the light shine through the stained glass, bringing it to life.